Home / Editorials / Ray Allen: Miami’s Late-Game Elixir? 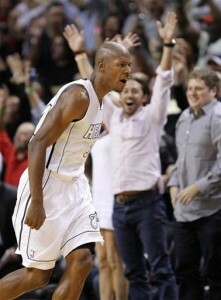 Ray Allen: Miami’s Late-Game Elixir? The Associated Press, "Allen, known as a clutch performer throughout his career, has continued to display the brilliant pressure shooting that has become a trademark during his 17-year career." After struggling often with late-game offensive scenarios over the past two seasons, the Miami Heat have transformed into one of the most unstoppable fourth quarter offenses in the NBA. While some of that can be attributed to the added continuity of a third year together for the core of LeBron James, Dwyane Wade, and Chris Bosh, as well as the natural confidence that comes from winning a title, a good portion of the improvement can be traced to the addition of one of the NBA’s great weapons: the Ray Allen three-point shot. The basic philosophy behind the initial construction of Miami’s Big Three was to have three players who could command the attention of the defense on every possession and to surround those players with knock-down jump-shooters to force the defense to pick its poison. The strategy often worked to great effect during each of the last two seasons, though even last year’s team sometimes struggled to consistently knock down open threes before going on a tear from long range in the NBA Finals. But the title of Mr. Consistency is appropriate for few players as much as it is for Allen, who has taken full advantage of the open looks afforded him by the floor space created by James, Wade, and Bosh to knock down 27-of-51 from long distance for a whopping 52.9 percent, up from the 45.3 percent he hit from three for Boston last season. 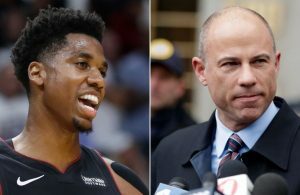 His presence on the court has made Miami particularly tough to defend late in games where the Heat have thrived, erasing fourth quarter deficits in victories over Atlanta, Houston, Milwaukee, Cleveland, and Denver twice. Allen has made enormous late three-pointers in four of those games, starting with his clutch go-ahead four-point play in the third game of the year, knocking down a triple from the left corner on a pass from a driving James with six seconds on the clock to give Miami a 119-116 win over the Nuggets. 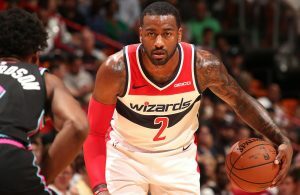 He also knocked in late triples to help key comeback wins over the Rockets and Bucks, and Allen provided his second game-winner Saturday night against the Cavs, and again it came after the defense collapsed on James. It was just the latest example of how lethal a closing Miami lineup that features its Big Three plus Allen and virtually anyone else can be. 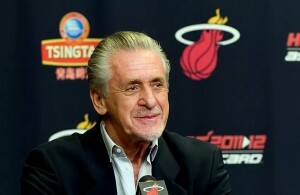 How Allen continually finds himself to be that open man is a puzzle even to the Heat. Allen, known as a clutch performer throughout his career, has continued to display the brilliant pressure shooting that has become a trademark during his 17-year career. Through 13 games, Allen is averaging 29.3 points per 48 minutes and posting a .636 effective shooting percentage in clutch time (defined as the last five minutes of fourth quarter or overtime with neither team leading by more than five points). Allen has made 4-of-9 three-pointers in such periods of games this season, with James assisting on three of those makes. 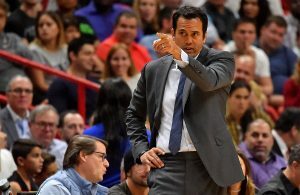 Heat coach Erik Spoelstra has seen plenty of dagger jump shots by Allen from the other side, so many in fact that he said he has to fight his natural inclination to cringe in horror when one goes up. The coach said Allen’s instinct to find the open space in the defense at just the right time is a unique skill for even the best shooters. While Allen is no longer starting games as he has for virtually his entire NBA career, the future hall of famer said he has no problems settling for simply closing them instead.